These are municipality owned systems and usually regulated by government to ensure water safety and quality. They are registered systems either operated by the government or other licensed owners/operators. Drinking water produced through these systems need to be tested in a regular basis using standard protocols and any adverse test results need to be reported to corresponding government and health officials. Usually any change or alterations of such system also need reporting and obtaining government permission to ensure end product quality and safety. These types of systems include privately-owned systems that serve apartment buildings, private subdivisions and mobile home parks. They can also supply drinking water to a facility with vulnerable population like nurseries, schools, children’s camps, colleges and universities or hospitals. Sometimes they are also known as small drinking water systems and serve restaurants, seasonal trailer parks, community centers, libraries, gas stations, motels, churches and many other public facilities. Although these systems are privately owned they are regulated by the government through acts, laws and regulations to ensure supplied water safety. A large variety of household systems are available commercially to purify or polish the water further. 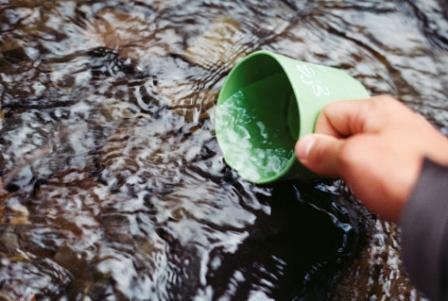 Usually these systems are used as an added barrier or supplement to achieve a higher drinking water quality standard. They include various chemical or physical ways to remove pathogens, chemicals and/or physical particles. All systems have their respective advantages, disadvantages and limitations in achieving the end water qualities. Click here to know more about Small Drinking Water Systems.